Facebook and Opower have teamed together with the Natural Resources Defense Council to create a social energy app for Facebook that they hope will help raise awareness of energy consumption and efficiency. 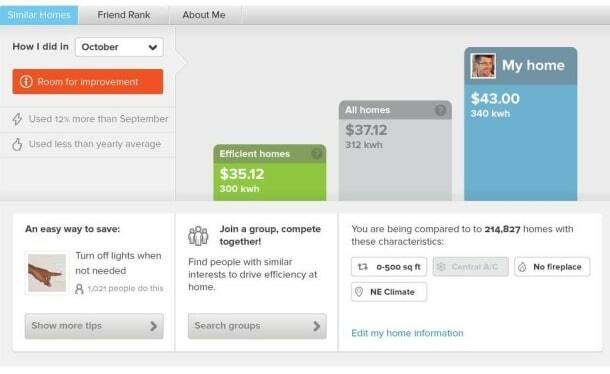 Those who use the app will be able to compare their energy use with a national average of similar homes, as well as those of their friends. They will also be able to share energy saving tips with other users, and enter into energy-saving competitions as well. According to the NRDC, an environmental advocacy group, improvements in energy efficiency have the potential to create more than $700 billion of savings in the U.S., but getting people to think critically about their energy use is difficult. According to an Opower press release, the average American spends about six minutes per year thinking about their energy use. Utilizing the power and mass appeal of Facebook, the app hopes to increase that number for the more than 800 million people who use Facebook, many of whom are on the social network daily. Wood Burning = Green Heat?